Established in 1956, we are one of the longest established dealers in the United Kingdom and Europe. 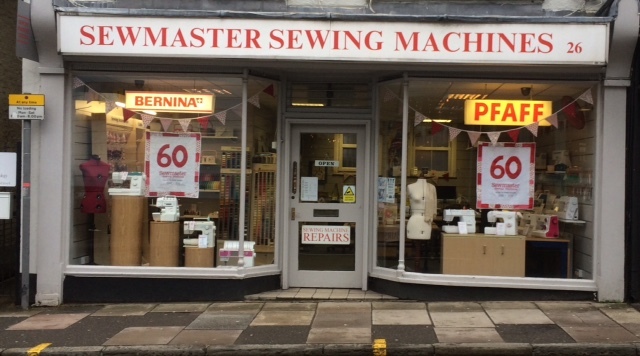 We are very proud to be one of the longest established sewing machine dealers in the UK. We have been Bernina agents since 1957, Pfaff agents since 1958 and Husqvarna and Viking agents since 1959. Visit our showrooms and see the latest technology in action as well as examples of work that can be produced. Online and mail order sales covering all areas in the UK including Ewell, Southall, Horndean, Battersea, Epsom, Birmingham, Tunbridge Wells, High Wycombe, Witney, Loughborough, Winchester, Salisbury and Eastleigh.